We dedicated our best engineering and materials knowledge to designing our patent-pending Sure Tamp™ process in the Brew System Assembly. 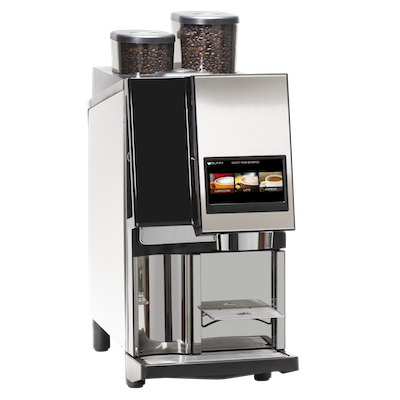 Its metal construction uses a proximity sensor to assure correct compaction and precise tamping pressure for each puck to achieve the best shot of espresso. 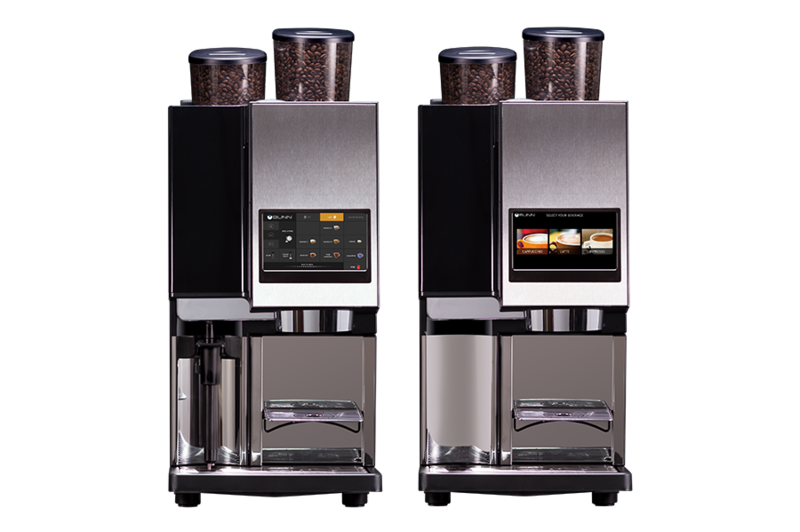 The large 7" touchscreen on BUNN Superautomatic is an easy-to-use and intuitive control console that allows the operator to easily create a full menu of espresso-based beverages. 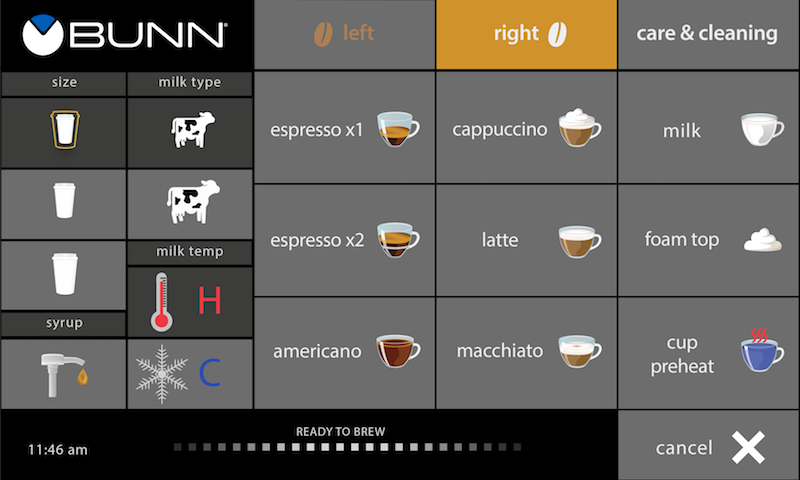 The Build–A–Drink™ touchscreen has placement options for nine of your most popular drinks. 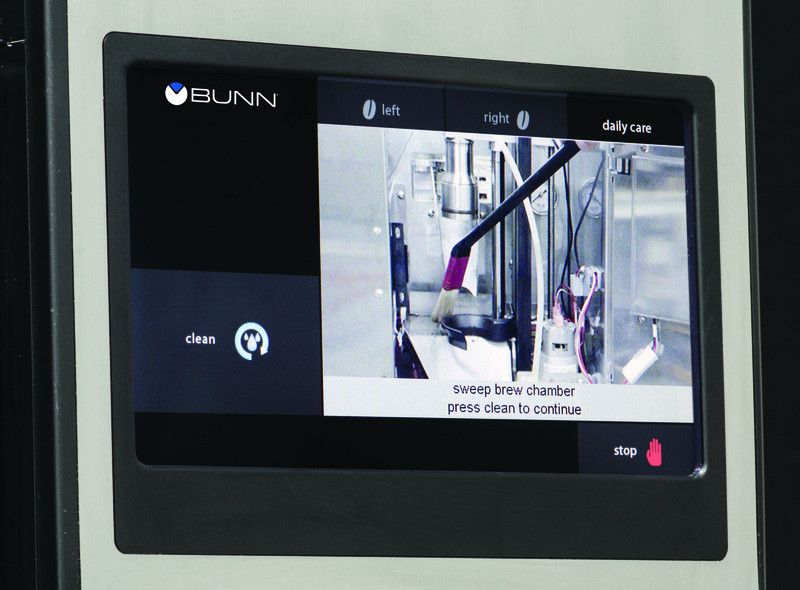 Instead of trying to find time to read manuals or view training videos, the touchscreen displays high resolution images to guide the operator step-by-step through proper cleaning techniques. 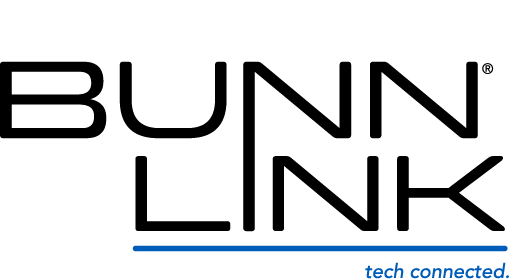 This remote equipment monitoring ensures the wellness of your geographically disbursed equipment by utilizing real-time connectivity to deliver a precise, up-to-the-minute status of the installed machine, and the on-site support for BUNN Field-Service Engineers servicing your machine. Designed to accommodate two standard 1gal (3.79L) jugs, this unit works in conjunction with BUNN Espress® to deliver two types of milk. 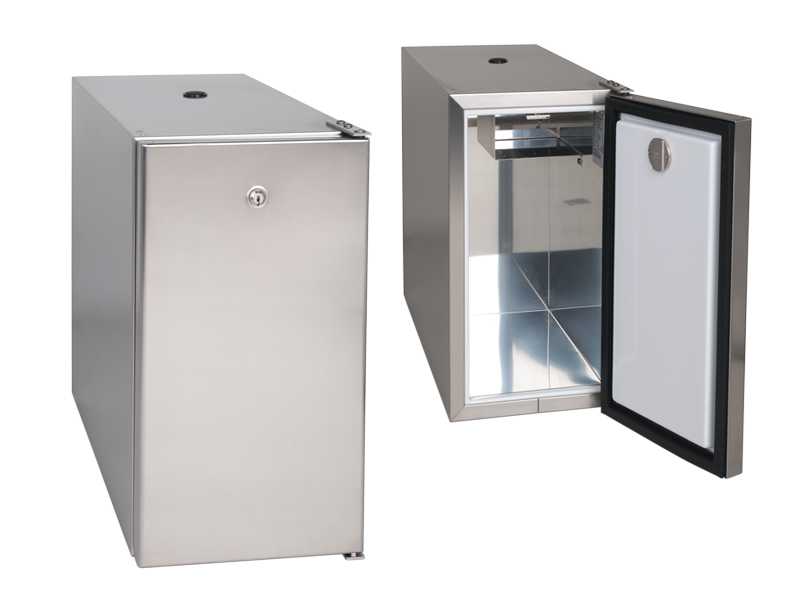 Can be configured side-by-side with machines or placed below the counter. The Sure Tamp Superautomatic espresso system features a patent-pending process that delivers café-quality steamed and frothed milk for hot and cold lattes and cappuccinos. The BUNN-exclusive three-stage milk nozzle system incorporates milk, steam, and air in the proper ratios while controlling initial bubble formation and size. From here the flow is slowed, further homogenizing and refining the micro-foam milk just before it’s delivered, splatter-free, into your cup. The result is rich and creamy milk with the right amount of sweetness. 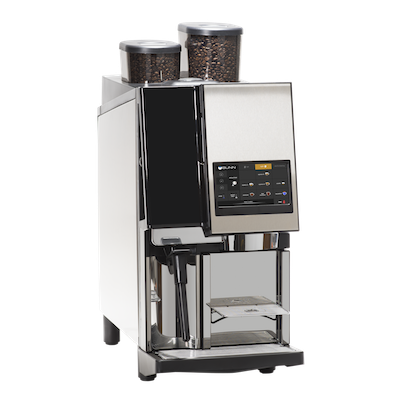 This model comes with BUNN Intellisteam™ wand, a milk steaming tool engineered for the Barista - but can be used by varying levels of experience to comfortably and quickly build their skill level. The cutting-edge steam production allows for unprecedented control in the steam pitcher while also allowing for full engagement in milk production and cleaning. The wand itself is insulated with a material uniquely-engineered for continuous high performance that is impervious to repeated use of hot water and steam. The outside of the wand is resistant to milk baking and abrasion which means a hassle-free cleaning experience, less repairs, and a longer product life cycle. Ready to learn more about Sure Tamp?